Limited to 12 people. No online access. THIS COURSE WAS FILLED UP. You have a real opportunity to take right now. Join me for 3 days in Las Vegas at the historic Flamingo Hotel June 20-22, 2017 and discover solution-focused techniques that you can apply in medical hypnosis, academic and sports performance hypnosis, stop smoking and weight loss hypnosis, and to any other specialty niche that you have created. This class is different than any other training you have done. First, it is an intimate group. This class is limited to 12 participants. Second, it will not be held in a banquet hall, but rather a luxury 1600 square foot suite, allowing for intimacy as we demonstrate and practice together. You will have the chance to ask questions, get answers and have direct feedback about your technique and approach. Food and Lodging: The Flamingo Hotel has some great rates during this time period. But being center strip in the heart of Las Vegas, you have virtually unlimited lodging opportunities at some of the best hotels in America. Lodging is not included, book your lodging from your favorite travel website or directly from https://www.caesars.com/flamingo You are on your own for all meals, but there are unlimited food choices within the hotel and nearby. We do not have any special group rates or a room block, so book early for the best rates. Airfare: Getting to Vegas is easy (and cheap). Almost every major airline and discount carrier flies to Las Vegas, often at very reasonable rates. In many cases, these are non-stop flights. Check Google Flights, for the best rates. Transportation costs are not included in your registration. If you pay a deposit of $200 to reserve you space, it is non-refundable under any circumstances. This class is limited in size, and by holding space, we are turning away others. You may however, apply this to a future event. Can’t Make this Class? 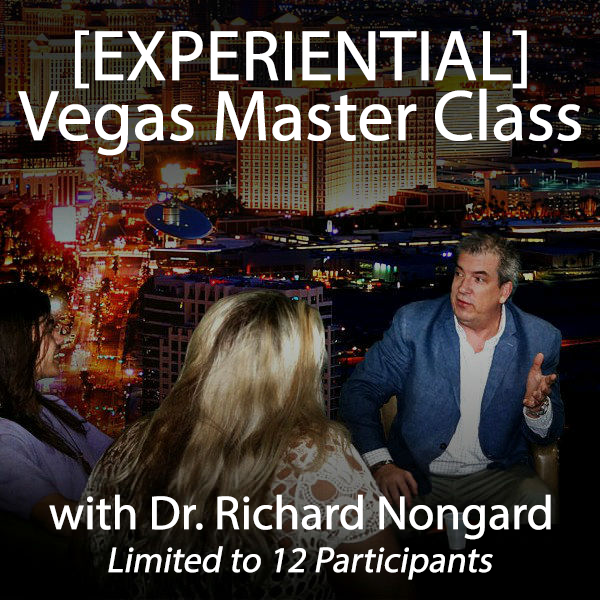 The Experiential Master Class is offered in Las Vegas in October. Our next class will be held at the . To register for this class, call our office at (918) 236-6116. Classes do fill up, so register today to make sure you have your spot.